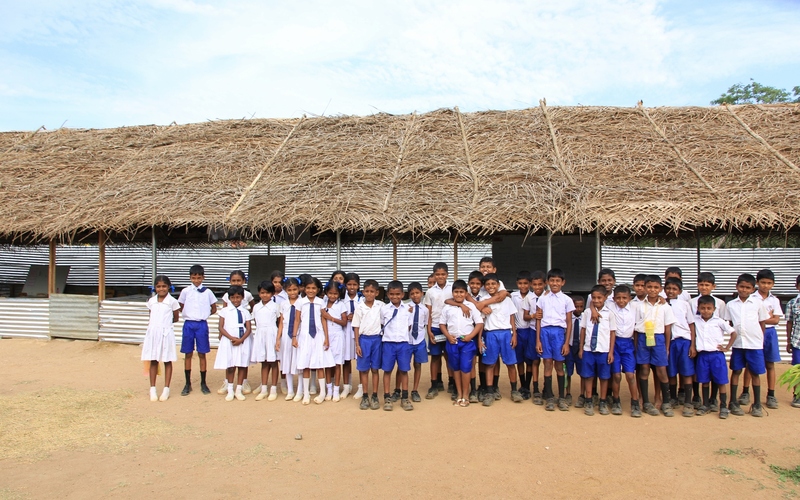 UN-Habitat Sri Lanka | Construction of New School Buildings Underway in Mannar District with Funding from the Government of Japan. 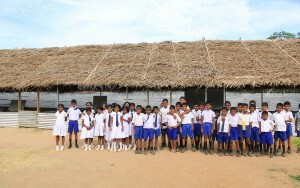 UN-Habitat Sri Lanka > News > Learning Environment in Mannar News > Construction of New School Buildings Underway in Mannar District with Funding from the Government of Japan. 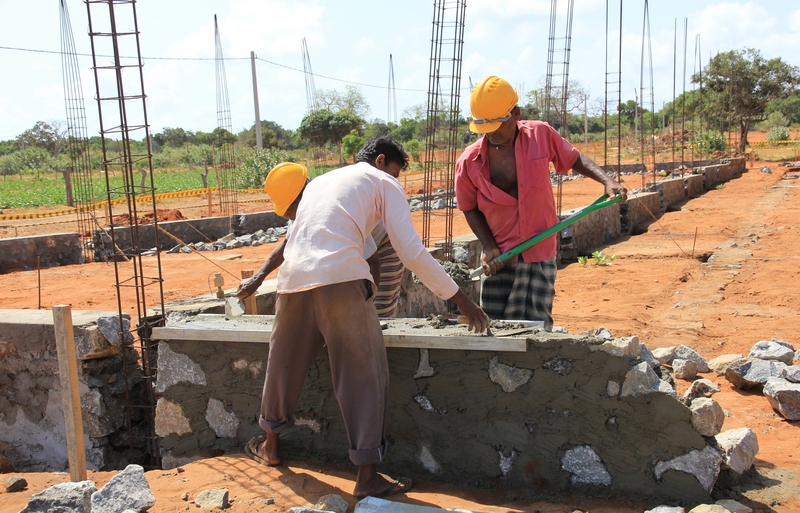 Construction of New School Buildings Underway in Mannar District with Funding from the Government of Japan. Construction work underway at Ikra Government Muslim Mixed School. July 2016, Mannar District, Sri Lanka. 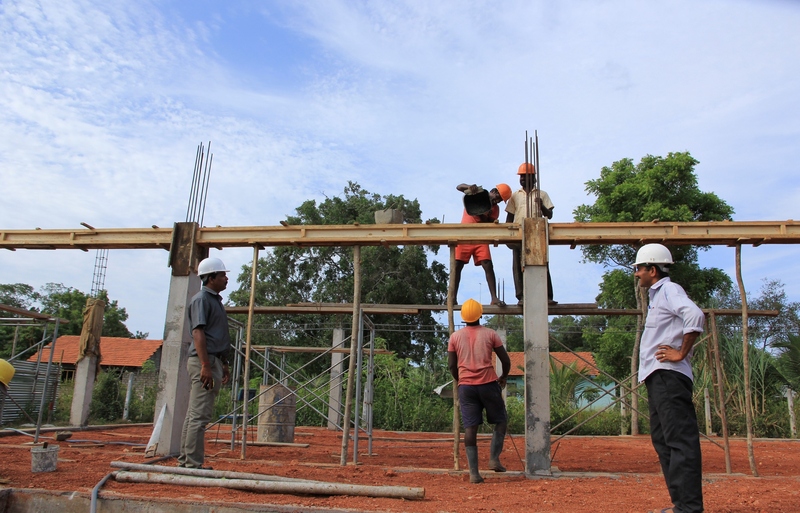 Construction of new classroom buildings and teacher’s quarters has commenced in several schools through the project “Sustainable Resettlement through Community-Driven Improvement of the Learning Environment in Mannar District, Sri Lanka”. With funding of US$4,200,000 from the Government of Japan, the project is implemented by UN-Habitat in collaboration with the Ministry of Education, Provincial Ministry of Education in the Northern Council, Zonal Education Offices in Mannar and Madhu and other stakeholders. Current status of classrooms at Periyapandivirichan Primary School, Madhu DS Division. 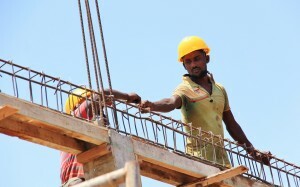 At present, construction of classroom buildings is underway in Periyapandivirichan Primary School, Periayamadhu Primary School, Hunais Farook Government Muslim Mixed School and Ikra Government Muslim Mixed School. At the Periyakunchukulam Roman Catholic Tamil Mixed School and Al Azhar National School, construction work for teachers’ quarters has begun. The schools have been selected for assistance as they lack resources and facilities for the school children and teachers and require support in improving their learning environment. The schools have inadequate infrastructure and are at present functioning in temporary buildings with minimal facilities. In some schools, lessons are held under trees, in nearby community buildings or makeshift shelters built with cadjan and tin sheets. In order to improve the learning environment of the schools, a school building including an auditorium, canteen with kitchen and storeroom, and water and sanitation facilities will be constructed for selected each school. School children in their classrooms at Hunais Farook Government Muslim Mixed School. Foundation work in progress at Hunais Farook Government Muslim Mixed School. 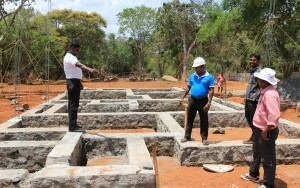 Construction of Teachers’ Quarters at Periyakunchukulam Roman Catholic Tamil Mixed School is in progress. 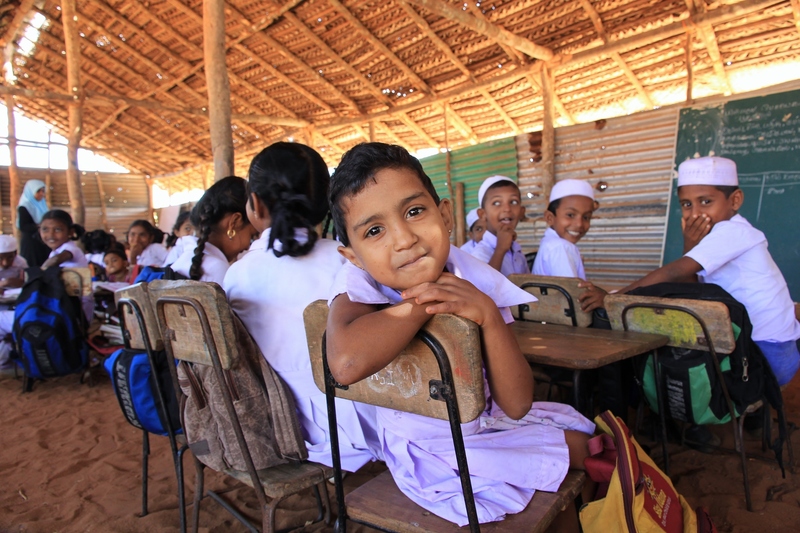 The project is addressing the needs of over 25 schools in Mannar, including the construction of primary and secondary school buildings, water, sanitation and hygiene (WASH) facilities for school children and teachers’ quarters. It is expected to benefit over 10,000 returnees including 5,500 school children. The project is implemented by UN-Habitat through a participatory process in close cooperation with the Government authorities, community based organizations and School Development Committees.